The Organization | Creative Deck Strategy: It’s a Bird? It’s a Plane? Creative Deck Strategy: It’s a Bird? It’s a Plane? Welcome to the next installment of my CDS articles, this time focused on an archetype that never truly took off to its full potential. Literally. The Mecha Phantom Beast archetype is one of the most versatile archetypes ever created, able to play Synchro Spam, Control, Rank 3/6/9 Xyz Spam, Rank 4/7/10 Xyz Spam, or even Swarm. Yet, they have never found a good avenue to completely break through into competitive. Let’s fly sky high by discussing this awesome archetype! It’s time to takeoff into the skies, let’s introduce you to the Mecha Phantom Beast archetype! This WIND Machine-type archetype is designed around a game mechanic featured in a recent CDS article, TOKENS! Almost every Mecha Phantom Beast monster has some way to generate 1 or 2 Mecha Phantom Beast Token with an effect, and also almost every Mecha Phantom Beast (shortened to MPB for the rest of the article) monster has some effect to utilize or manipulate those tokens. Sound like a cool enough principle for the deck? Well it even gets better, since MPB monsters also have the effect that they cannot be destroyed while you control any Token monster, and the non-tuner Effect monsters gain Levels equal to the total Levels of face-up MPB Tokens you control. Long story short, all of these factors combine into making MPB one of the most versatile archetypes out there, because with 4 effects each, they bring plenty of potential to the table. Artwork wise, each monster is a combination of an animal and a specific type of aircraft and each features a hazy ‘phantom’ copy or two, based on the number of MPB Tokens its effect generates. Pretty cool eh? For those of you who already knew the basic premise about these monsters, let’s start talking the lesser-known specifics about your fleet. To be absolutely clear, there are 2 monsters that make the archetype worthwhile: Mecha Phantom Beast O-Lion & Mecha Phantom Beast Megaraptor. These two monsters literally give the deck its power, its combos, and its devoted fanbase. Despite what you might expect, there is still quite a following for this archetype that has seen scattered tops in competitive play through many different types of formats. MPB even managed to top during the Dragon Ruler era. That alone should give your more of a clue of its merit. The best part is that each time the deck blips on the radar, it looks quite different from when it last showed. I also have to be blunt about one other thing – many of you will not like this archetype. It is really a love/hate relationship, because either you like the sheer power that the deck can exploit, or you hate that the deck takes a turn to setup. Because yes, pretty much every duel with pure MPB will start with a setup turn before you can really start taking over the controls and exploding forward with all of your combos. So if that is not your style of play, I’ve even included more of a turbo hybrid variant so that way you have some reason to continue reading. That being said, this strategy does not rely on one specific combo, drawing a specific card, or even one boss monster in search of winning a duel. Thus, you have many different ways to correctly approach the deck, and all of them can have valid deckbuilding theory behind them. So in this article, I will be introducing you to three different variants of Mecha Phantom Beasts, but I’m sure you already understand that more exist. It just takes some crafty deck-building to construct a functional variant, which you should be able to do on your own after reading up on everyting below. At the end of the day, when building every single variant, you must answer the following question: Do you want to use the card Scramble!! Scramble!!? Did you know that MPBs boast the largest number of ‘personal preference’ archetype members? Because quite frankly, a ton of these monsters and support cards really come down to if you like how they play. The best example of this is the themes power Spell card, so let’s begin with Scramble!! Scramble! !, the only card in existence to have FOUR exclamation points in its card name. Seemingly designed to be the key support card of the deck, because you could very well summon five MPB monsters straight from the deck at the low cost of a couple of tokens. On the flip side, you are trading in your tokens in order to summon a couple of MPBs, which all need tokens to function effectively. What a conundrum, eh? The other key aspect to consider is that some of the most powerful MPB monsters actually rely upon this card as the preferred method of summoning, such as Mecha Phantom Beast Coltwing or Mecha Phantom Beast Kalgriffin. The good news is that this card is even searchable by the deck’s boss Synchro monster, Mecha Phantom Beast Jaculuslan, so you have a bit of a reliable way to get it once your main monsters fall and all you have left is tokens. Or if your fleet is simply outnumbered. So there you have it, this is the big decision for you. Will you choose to run the card that helps you get back into the duel, or choose to build your deck so that you never fall behind? Will you risk drawing this card without tokens, or will you choose the safer route with less power? As one of the following variants, I will be presenting you a Scramble deck, so be sure to check that out if this card in particular entices you. But the difficult deckbuilding choices do not stop there. I said before that there were only 2 monsters that were absolutely key in any build, but there is also a third that appears very frequently, Mecha Phantom Beast Tetherwolf. The dispute here is not whether to run it or not, since it may be the easiest token generator to trigger, but rather the question is whether you run two or three copies. Because not only does Tether generate a free token upon its summon, but it also lets you run over strong-ish threats using its self-ATK boost. The problem we quickly run into is the uncertainty brought about by too many Normal Summon-dependent monsters. Tether is GREAT, but what happens if you draw him and Megaraptor? Will you be forced to choose between the risky but high reward play of just summoning Raptor to try and combo the two and the safe play of just summoning Tether? Many archetypes run into this problem, because there are a lot of archetypes that are overly dependant on the Normal Summon, the most common example of which is Madolche. No duelist wants to feel like a single decision will cost the duel, but this is what can happen with MPBs if you overload with too many actual monsters. Another common questionable choice is Mecha Phantom Beast Blackfalcon. Instead of on its Normal Summon, Falcon generates a token whenever it attacks. But again, Falcon alone doesn’t generate any card advantage outside of a token, since its manipulation effect just gives you a way to run over a threat by turning an opponent’s monster to defense position, if and only if that monster has low enough DEF. If I’m being honest, I do not like using this monster at all, which is why I choose not to run a single copy in any of my personal variants. Don’t just take my word for it though, because it is a card choice that some MPB duelists swear by, so you should consider that as well when building your deck. Continuing with our theme, let’s talk about the biggest misunderstood card of the archetype – Mecha Phantom Beast Hamstrat. Hamstrat is the theme’s recovery option, trading a token for a MPB from the Graveyard. The problem with him is that he boasts an effect to generate two tokens at once. Thus, many MPB duelists get the impression that his purpose in the deck is that of a key token generator, and his manipulation effect is just a bonus. That is NOT the case. Please use Hamstrat as the Monster Reborn on wings that he is, and only rely on him as a token generator in dire straights, since FLIP effects are very difficult to ensure. So you have the choice, be greedy and try to get more tokens for your buck with 3 copies, or take the more rational approach with 2 to rely on other generators. Ultimately, the choice falls to you, just like with our next monster. Mecha Phantom Beast Harrliard suffers from the opposite perception problem – his secondary effect gives much needed speed to the deck, but many builders question the usefulness of his token generation. The fact of the matter is simple, he works best when you are tributing tokens regularly, because to generate more tokens you need to already have them. So again, you have to weigh your scales and determine the best option. As you can tell, there is tons of theory for the deckbuilder to work out, but it will pay off dividends once you get into actual duels and have the correct ratios that work for you. Now that we’ve covered themed support, let’s talk about some generic cards that work well with this deck. In terms of draw power, you can always rely on the good ole Sacred Sword of Seven Stars since 7 is one of the magic Levels for MPB. But the best draw card actually was designed for MPB – Draw Muscle – and I would bet that you’ve never heard of it. In the case of MPB, it is a one-for-one trade in card economy, but it also protects one of your tokens from being destroyed by battle during the turn. Other generic support cards work particularly well with the level alteration, such as Strike of the Monarchs. This gives you control over your opponent’s attempts to get back in the duel, while also replacing itself with a draw. Spiritual Wind Art – Miyabi lets you put both your tokens and MPB monsters to good use, disrupting your opponent and bouncing cards back to the deck. Also, don’t forget that both of these last two cards trigger the generation effect of Mecha Phantom Beast Harrliard! If you need a bit more tokens to support your fleet, be sure to look to Void Expansion as an option to get a token at every turn. Perhaps you’re interested in being a bit more creative with your Extra Deck, because you can also consider Mask Change II. While you aren’t running any HERO monsters, Change lets you turn a token into Masked HERO Divine Wind. The best part is that Jaculuslan can search any of these Quickplay Spell tech options, so feel free to have the confidence that you will have them when needed. The Calculator may seem like a strange option, but when you are faced with getting the most levels for its effect, MPBs do that well. You could even try being a bit crazy by adding in Galaxy Queen’s Light as well, to effectively make your tokens grant 7 or more extra Levels to your MPB monsters. Lastly, you can consider using a lot of the techs used in my generic Token Synchro article a couple of weeks ago, so be sure to check them out (CLICK). We’ve talked a lot about tech options, so let’s start getting into the specific decks I will be covering. The first strategy I would like to highlight is a deck based around Scramble!! Scramble!!. With the clear win condition being resolving your Quickplay Spells, this is a great variant to consider fitting in tech cards to be sure you draw into the combos that you require. The goal of this sort of variant is to swarm the field with MPBs en masse, use their effects to get into a dominant field position, and then never let that setup slip away ever again. So let’s talk individual cards. These monsters are pretty much the core in any MPB build, especially Scramble ones. Raptor provides the searching, and the combo of the two monsters provide your main tokens. This is a powerful multi-token generator, but is only a key card when you are using Scramble to Special Summon it directly from the deck. Its secondary effect is also super powerful as well. In this variant, Tetherwolf is one of the best ways to make the tokens that count. Tokens are vastly needed, and if you do not have a way to get O-Lion to the Graveyard, look to Tether to get your setup started. Also, the Normal overload doesn’t really happen as long as you have effective dumping for O-Lion. Harrliard works best when you can get two MPBs to the field alongside a token. Good news is, Scramble variants do that extremely easily. Thus, you can easily trigger his token generation when using your other MPB effects, fueling his own effect down the line. You NEED to protect your tokens so that way you can use Scramble during your turn to make the most of it. Thus, this definitely is a good card to be running here. Remember, pure MPB generally has a slow-start, so you need to be able to get your setup before continuing to a victory. Aerial provides the reliable MPB token generation that the deck needs to function. Yes, it has a maintenance cost to keep up, but it is worth it, especially if you have Mega-Raptor on your field. In many decks, this trap provides generic recovery, but this is especially important for MPB decks that run Coltwing as another way of summoning tokens en masse. Also, this trap is imperative if you want to go into Jaculuslan without resolving Scramble!! Scramble!! or relying on a pacifist opponent. NOTE: You can make this a TCG-legal decklist by just replacing Coral Dragon and Musashi with other Extra Deck options. Have fun! The second strategy is what is considered as ‘mainstream’ Mecha Phantom Beast. If you can even say those words together. This is the normal build you will most likely come across if you ever happen to find someone piloting these aircraft. The overall goal and difference between this and the last build is to trim down unnecessary brick cards; instead, we choose to maximize on Xyz potential and useful topdecks. The deck is specifically designed to Xyz Summon monsters of Ranks 4, 7, and 10, as the name implies. However, it also has solid access to Synchro monsters as well. This variant plays more of a slow-rolling game, but it definitely can pack its punch when you chain the right MPBs together. Sure, you don’t have the sheer amazingness of Scramble plays, but Mecha Phantoms do just fine winning without that risk. These monsters are pretty much the core in any pure MPB build, especially builds that rely on the tokens to adjust levels. Pretty sure you got this by now. While he was important to a Scramble build, Tether is on the same tier as Raptor for this build. If you can successfully summon Tether and Raptor on the same turn, you can adjust your levels as necessary to make a Level 7 or 10 Xyz monster as needed using the token manipulation effects. If you do choose to go Rank 10 into Number 35: Ravenous Tarantula, you even get the ATK boost on your tokens as well! While quite unorthodox, this is just one snippet of the power of MPBs in flight. In the previous build, we used Mathematician because it is a great tech to elevate MPBs to a higher standard. But in this build, you want as many copies as you can get because you need the tokens from O-Lion and you need the extra Normal Summons. Most duels, you want to open with getting an O-lion into the Graveyard, and preparing to explode with a big play on your second turn. What happens if you run into monsters that are just too big for your Extra Deck to handle? What happens if you accidentally made too many tokens and need to lower the Levels of your MPB monsters? Swap gets you out of both of these problems, plus it is great against decks that field one strong boss monster and watch you try to get over it. While in the last build you needed your tokens for Scramble, but in this one, you need to protect your tokens so that way your MPB monsters can survive until you get another turn. Quite frankly, you will never succeed at always having an O-Lion at the ready for two Normal Summons, so it’s best to have the slow backup option in the case that it arises. Plus, it’s an even trade in card advantage, so no loss. Aerial provides the reliable MPB token generation that the deck needs to function. Yes, it has a maintenance cost to keep up, but it is worth it, especially if you have Mega-Raptor on your field. Again, this is not changing for any pure MPB deck. In the last build, Miyabi gave you the ability to get rid of your monsters in a pinch, but mainly to give the deck a bit of removal outside of monster effects. In this build, it does the same thing, but it is much more necessary to diversify your effect types. While you could rely on Scramble in a pinch there, you need to rely on consistent, non-destruction-based removal that this trap offers. I’ve covered the main two variants of pure MPB, but this third strategy is all about making them super speedy to keep pace with the fastest competitive decks. To put it very bluntly, when you have a theme that spams out Level 4 Machines and Level 3 Machine-type tokens out the wazoo, the Karakuri make an excellent match for chain Synchro Summoning. But that’s not the only Synchro-based theme to consider, because the Speedroid archetype, also comprised of WIND Machine-type monsters, can also benefit with even more non-tuners than the MPBs provide. Hence, we mash up the three, add some more generalist support, and create an ultra high-speed, competitive deck. This is the build that has seen actual competitive success in recent months, even including YCS Providence (Shout out to his Tournament Report), so don’t be fooled into thinking that this is just some second-class archetype. The general gist is that you loop Synchro after Synchro, ending with a full field of Synchro boss monsters alongside Number 38: Hope Harbringer Dragon Titanic Galaxy that’s perfect to handle much of the meta. The main MPB for this build, as it is the tuner that summons a non-tuner when sent to the Graveyard. Additionally, you can use his extra Normal Summon to bring out more MPBs that you happen to draw into with your T.G. Hyper Librarian or Karakuri Steel Shogun mdl 00X “Bureido” to keep the synchro looping alive. The other main MPB, since it is a non-tuner that summons another free non-tuner. As long as you get out a tuner of appropriate level, you can start making tons of Karakuri synchros with this helicopter’s help. One of the main combo pieces for the deck, since it can be sent from the deck to the Graveyard by Accel Synchron. It also allows you to go into Bureido using a Burei to get the materials for another Bureido Synchro Summon. In the other build, Scrap was useful just to generate a token early. In this build, you use him to generate a token, and then recycle back your Level 4 Karakuri monsters to be summoned back from the deck with your Karakuri synchros. Helps unclog the potential bad hands you have a chance to draw into. But otherwise, it’s just a solid tuner monster that can really help you put out some more Synchro monsters in your loop. This card works amazingly in this variant, changing O-Lion into Terrortop, changing Recycler into a Karakuri, changing Taketomborg into Megaraptor… All of these options let you modify the levels you control as needed, as well as give you the best combination of monsters early in the duel. The Monster Reborn for Level 4 and lower machines, this lets you extend your Synchros by using used materials a second time. Pretty much necessary in a deck that uses so many machines and wants to continue looping. A quick note before the decklist, as I’d like to explain how the basic loop works. You want to start with a Level 3 monster and a Level 2 tuner, and this can be achieved in many ways. Consider the following start: Speedroid Terrortop and Mecha Phantom Beast O-Lion. Special Terror, add Taketomborg, then Special Summon it. Normal Summon O-Lion, then Synchro into Accel Synchron. Accel sends Jet Synchron from deck to the Graveyard, then Synchro Summon Karakuri “Burei”. Burei Special Summons Karakuri “Saizan” from the deck. Use Jet’s effect, discarding any card to Special Summon it. Synchro Karakuri “Bureido”, which then Special Summons Karakuri “Nisamu”. Synchro Summon a second “Bureido”, which then summons Karakuri “Nishpachi”. Nishpachi changes its battle position, and then you draw 2 cards from Bureido’s effect. This basic combo takes 2 monsters and a discard, and you end with 2 Level 8 Synchros, a Level 3 tuner, a Level 3 non-tuner, and 2 draws. If you have another O-Lion or a Red Resonator in hand at the beginning of your turn, make T.G. Hyper Librarian with your first Synchro Summon to draw many additional cards over the course of your big play. As you can imagine, that play is pretty accessible, since you can also be able to do that by opening O-Lion or Red Resonator alongside Scrap Recycler or Mathematician, or by opening 2 O-Lion and Transmodify, or by opening O-Lion and either Speedroid, or by opening Recycler or Math and Iron Call, or by opening O-Lion, Transmodify and Iron Call… I think you see my point – this deck has such a high combo potential, but you do not rely on one specific combination of cards to pull that off. That is why this deck succeeds. Remember, I am only describing one small combo here, you have plenty more that can branch off with that, sometimes even to end with Crystal Wing Synchro Dragon, Stardust Dragon, and Titanic Galaxy with Solemn Scolding and Solemn Warning set. This deck has unlimited potential, and it packs a major punch. Have a bit of fun and Google Search this card! As always, the above lists are just my personal builds. Feel free to tinker and improve on whichever variant entices you! Mecha Phantom Beasts can be a competitive threat, if you don’t believe that, at least try out the 3rd variant before you give up any hope. And besides, there’s enough options for you to try something new until you get the deck to work out! Until the next time, keep innovating and building creative decks! Most of all, just enjoy dueling for the fun that it can be! Note: As of this article, I have rebranded my series as ‘Creative Deck Strategy’ rather than ‘Casual Deck Strategy’, because quite frankly, many of the ideas, engines, and decks can be used rather successfully in a competitive setting. Doesn’t make sense to keep a misnomer, but I kept the same acronym! Nothing has changed about my articles, you’ll still see plenty of cool archetypes, themes, and strategies that you probably haven’t seen before! Reminder, I also take suggestions for future CDS articles! While I will not run out of cool ideas, I do want to be writing articles about strategies you are interested in. 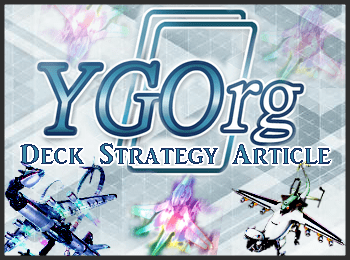 So if you desperately wish to see a CDS article about the archetype, theme, or strategy you love, feel free to private message me on the YGOrg Discord server with your ideas to keep under consideration: my username is Quincymccoy.